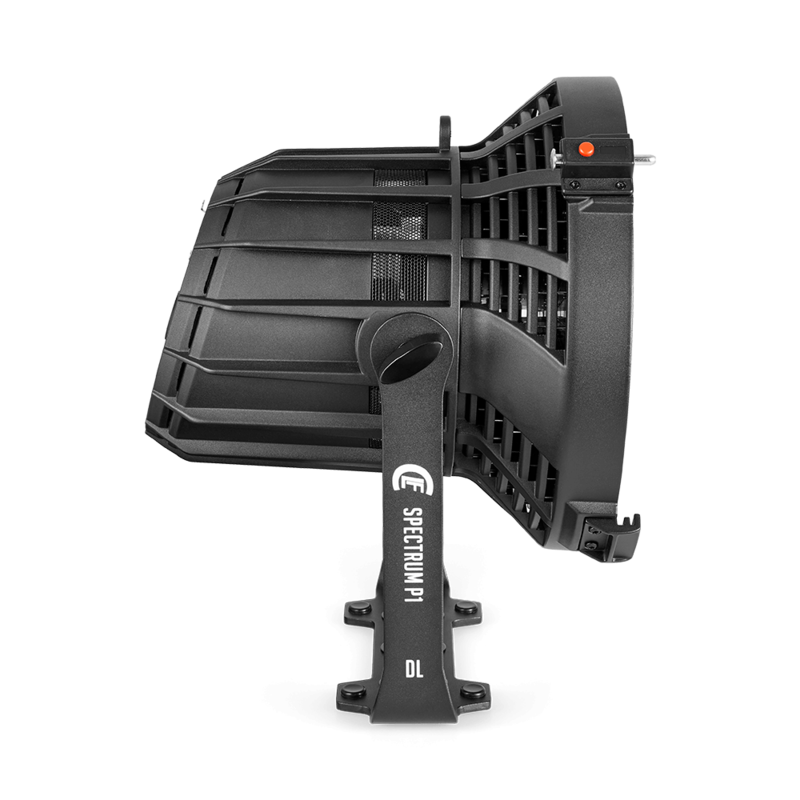 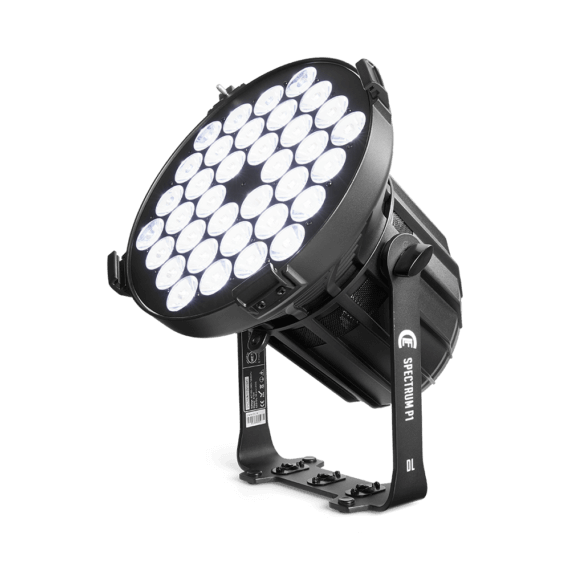 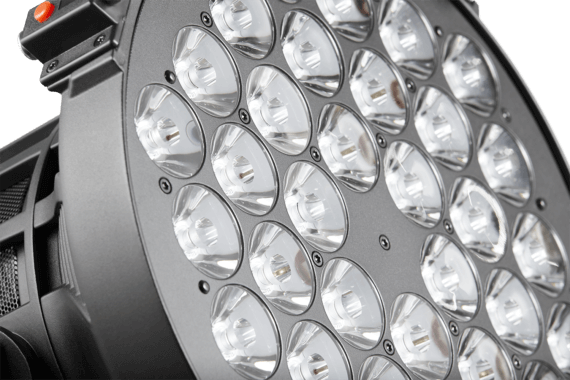 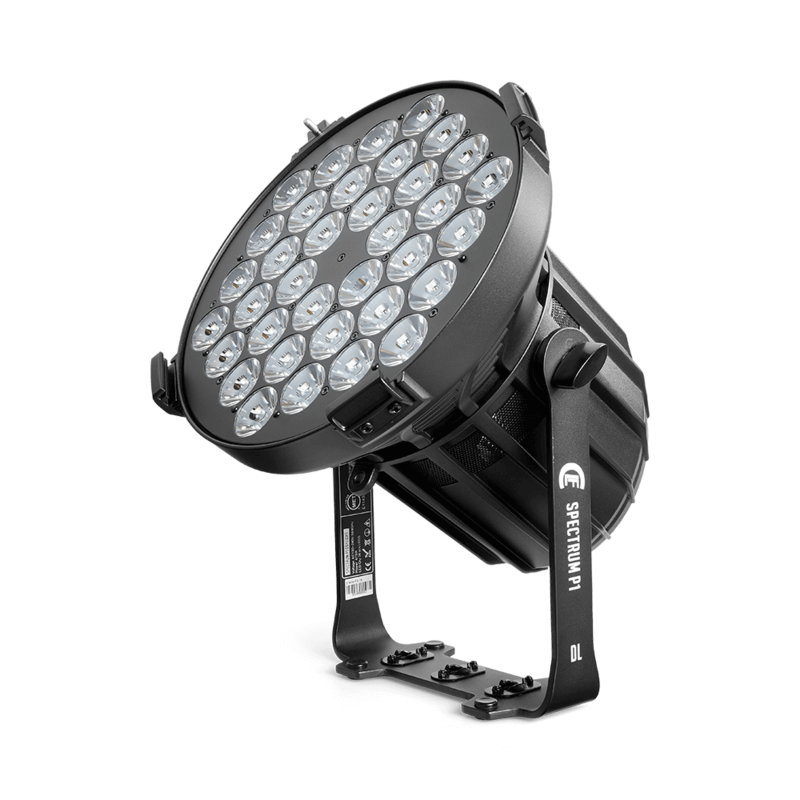 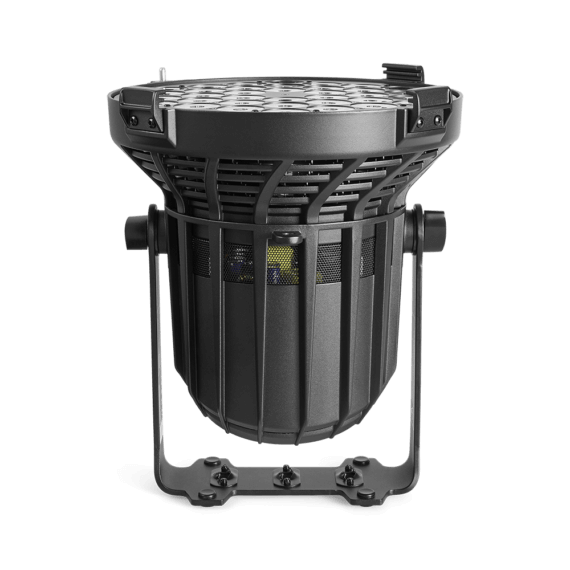 Designed for car shows and exhibitions or any other large scale venue, the Spectrum P1 Daylight is equipped with 36 high performance LEDs. 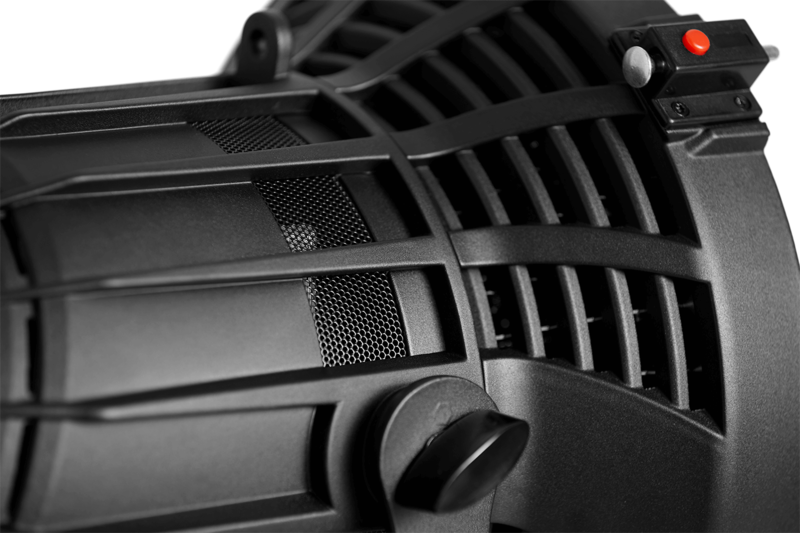 Impressive output and a punchy 9° beam angle are ideal ingredients for long throw projection. Specially selected CREE LEDs provide a color temperature of 5700K at high CRI levels. 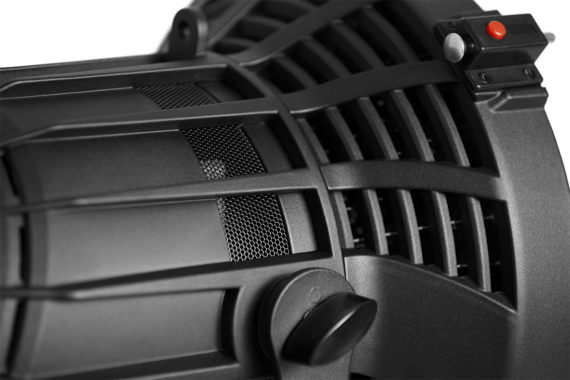 HD dimming and flicker-free operation are also part of the feature set. 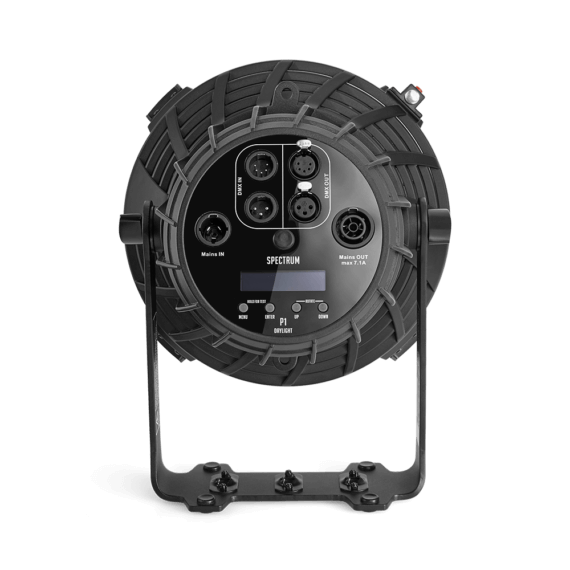 A unique single bracket design provides both standing and hanging opportunities and the LCD display offers easy access to the manual settings and manual control. 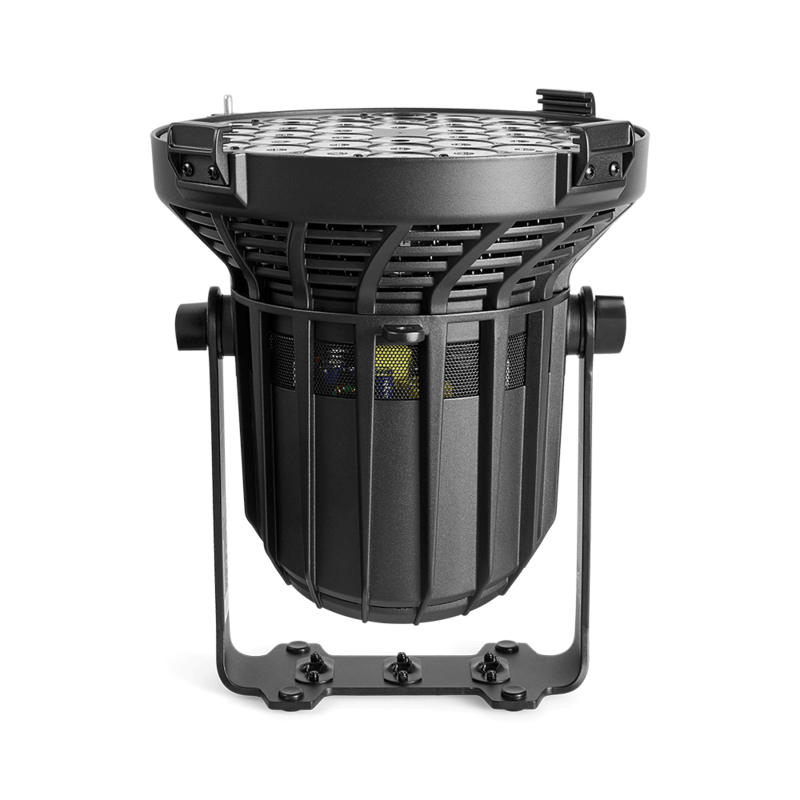 The touring-ready housing takes care of a significant amount of convection cooling, whereas the intelligent, regulated fan ensures silent operation. Data and power can be connected through the 3 and 5 pin locking XLR and PowerCON TRUE1 connectors.